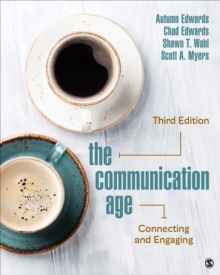 This dynamic new Interactive eBook version ofaEdwards: The Communication Ageais ideal for students in online and traditional courses who prefer a more contemporary, multimedia-integrated presentation for learning. 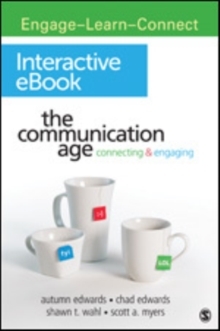 It provides students with integrated links to engaging video and audio as well as access to complete academic and professional articles, all from the same pages found in the printed text. Students will also have immediate access to study tools such as highlighting, bookmarking, note-taking, and more! Students: Still need to purchase an Access Code? Just select the 'Buy Item Now' button on this page to purchase your individual access code. 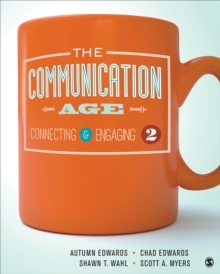 Explore Chapter Seven from the text:CH 7: Interpersonal CommunicationBundle OptionBundle the Print Version of Edwards: The Communication Age with the Interactive eBook for FREE!Please contact your Sales Representative for more information.